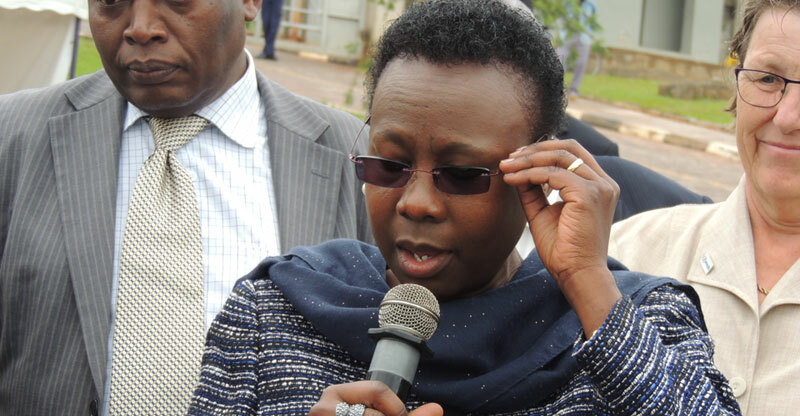 ENTEBBE – Health minister Ruth Aceng has said government is to set up a tracking system to monitor the drug supply chain in order to reduce on shortage and spillage in hospitals around the country. “We are working together with the US government; we are introducing a tracking tool and it will be in all our facilities not later than June, where everything that is dispensed out to the patients will automatically be entered into the digital system and we will be able to monitor the way facilities distribute those drugs in order to avoid spillage” she said. Dr Aceng made the remarks on Wednesday after receiving medicines and health supplies from the Indian government at the National Medical Stores in Entebbe. “The areas of contention and potential danger has been from the stores where the drugs are taken to the pharmacies and dispensaries to the patients. At that point, what is dispensed is registered in a book; that is where we have been having a challenge. I may not register,” she said. The minister said the medicines and health supplies, which include antibiotics and intravenous fluids, have been allotted to health facilities in the country for distribution. The Indian High Commissioner to Uganda, Mr Shri Ravi Shankar, said the drugs were brought in a consignment of 11 containers worth $ 1.6 million and will be part of the governments initiative to lure drug manufactures in the country. “We support the initiative that the Ugandan government has been urging to set up local drug manufacturing companies. We will be advising our manufacturers to come and offer their services” he said. Mr Shankar said the partnership will be private and will not require a memorandum of understanding between the two governments. He added their intervention is a follow up of India Prime Minister Nerandra Modi’s visit to Uganda in July last year.